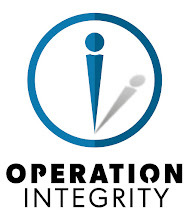 You are invited to attend the Operation Integrity Eastern US regional conference — The Gathering. This event is scheduled for April 20-21, 2012, in Charleston, West Virginia. This will be a great time for Christian Leader’s and Clergy to assemble and discuss the reality of addiction in the church, and even possibly in our own lives, and how solutions can be applied to help our people heal and move into a deeper walk with Christ. Here are the official invite notes. We are pleased to have Operation Integrity Founder and Executive Director, David Zailer, with us for two days of insight, inspiration and encouragement. David will also make time available for one-on-one consultations as time allows. Make your reservations now! Hotel Accommodations: Rooms have been reserved, but please make your reservation early, to ensure you have a room. Hotel Cost: $79.00 per night, plus tax. ($83.74) Save money by sharing a room! Let us know and we can probably help pair you up with someone to share costs with. Hotel contact information is below. There is a shuttle service to the hotel, from the airport – no need to rent a car. There is a $6.00 per day parking fee at the hotel if you are driving or renting a car. Contact James Saunders or Todd Allen, if you have any questions. Their contact information is below.